Hi! Lindi here. 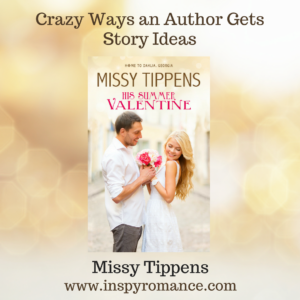 My amazing friend and author Missy Tippens is guest hosting today. I know all of you will make her feel at home! We’ve known each other for 20+ years and have been through a lot together. 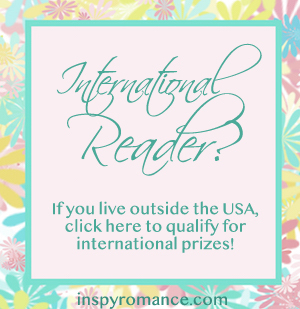 Hi, Inspy Romance readers! I’m glad to be here with you today. A big thank you to Lindi for having me! One of the most frequent questions I get from readers is, “Where do you get your story ideas?” I usually just tell them I get them from everywhere and in various ways. But I thought it would be fun today to look back at my past books and remember where the ideas came from. –From thinking about two completely opposite characters and deciding to throw them together to see what happens (a rich banker/diner waitress: Her Unlikely Family; Laid back construction worker/over-achieving pediatrician: The Doctor’s Second Chance ). –From dreaming up characters who have had a breakup or falling-out in the past. I love reunion stories and friends to “lovers” stories! (A House Full of Hope; His Forever Love; A Forever Christmas; The Guy Next Door; Her Valentine Reunion—currently in the collection titled Back To You). –Characters who are competing for the same thing—a “two dogs, one bone” theme. (His Lone Star Heart—currently in the boxed set titled Cowboys of Summer; The Doctor’s Second Chance, where a baby is the “bone”; His Forever Love, where Granny is the “bone” :)). You can see some of these stories listed twice. That’s because they do double duty in different categories by the time I’ve tweaked the plot. It’s part of the fun of writing! What themes or type stories are your favorites to read? To one commenter, I’d love to give away of copy of one of my books, winner’s choice, in e-book or print format from Amazon (please note, prize may vary due to availability). Opposites attract in this novella-length inspirational romance Book 1! Willow Valentine is on a quest—granted, a crazy one. When her car breaks down in the middle of a 4th of July parade in the tiny town of Dahlia, Georgia, she can’t help but wonder if God was bringing her here all along. After the handsome Trent Meriwether comes to her aid, she’s tempted to believe God has. But she, like her dad, is the type to keep moving on. 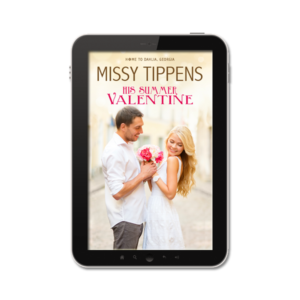 Can she truly avoid that Valentine itch and settle in this town, especially when she finds she’s quickly falling for Trent, a man with deep roots in Dahlia? Trent has moved back to his hometown to make amends and support his family. Though his grandmother warns him the Valentines are drifters, he finds himself intrigued by Willow. She makes him laugh and feel hopeful for the first time in ages. But how can he look twice at someone so much younger, someone who could pick up and leave at any moment—even if she is like a ray of sunshine to his troubled soul? Welcome to the small town of Dahlia, Georgia, where everyone feels at home! Isn’t Missy great? She’s a Rita finalist and a Carol Award finalist. Her books are awesome, and so is she! 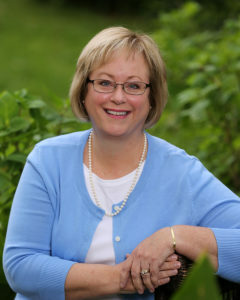 Thank you, Missy for guest hosting today on the Inspy blog! I read a wide variety of books, themes, genres. Christmas stories always pull me in. There is something rather special about them. Hi Lindi and Missy. 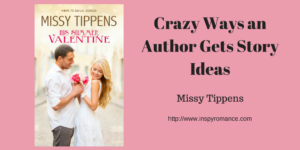 Missy, your books are new to me, so I look forward to checking them out:) It is always interesting learning about how authors come up with their ideas- love the idea of cheap therapy!! Wow, thank you, Lindi, for introducing us to Missy! All of these books sound amazing, my favorite is reunion theme…! Welcome Missy Great to see you hear. I still remember the lunch we had together in Atlanta when I visited. Jenny, it was so fun to meet you in person a few years ago! I’m so glad I was able to have lunch with you, Debby and Patti Jo. I love all those hooks as well. I’ve actually been working on a secret baby story a bit, but I’m just not sure it’s going to fly. I decided she needed to reveal it as soon as gets back to town, but now I don’t know if the story is going to work. I’ll have to send it to my critique parter extraordinaire (Lindi!) to see what she thinks. :) Thanks for sharing your opinion on the hooks! That helps to know. Mindy, it’s good to see you here! Hi Lindi! Welcome Missy! Thanks for sharing your writing process and your stories. As a retiree, I enjoy reading a variety of books, themes, and genre. With so many new releases to choose from, I enjoy a story that is unique, unique characters or occupations, a well described unique setting, or the theme. Your story A Family of Faith reminded me of a video clip about a school bus driver, who braided girls’ hair in the morning. The single father had struggled with his daughter’s hair and was touched. Simple touches of kindness can make a difference, especially in the lives of children. I enjoyed reading your Amazon bio. That you wrote stories for 10 years before trying to be published. Wow! Inspirational. Best wishes and Happy Writing! Renate, I think I saw that video (or read about it) as well! So touching. You’re right about simple touches of kindness. Thanks for checking out my bio! Yes, it was a LONG road that Lindi and I have traveled together while working toward getting our books published. Lots of rejections along the way. But so exciting to get The Call! Kim, thanks for reading the post! Hey Missy, good to see you here. I love reunion romances, friends to love, and pretend relationships that turn into real ones. Shannon, I love all those as well! I haven’t written a pretend relationship one yet but would love to someday. Lindi, thanks so much for having me! Great to see you here! Am fangirling here in hot, humid GA.
Wishing happy writing days ahead for you! Love your books! Jackie, you’re so sweet! I wish we could meet up sometime. Maybe you and Lindi and I can plan a get-together! welcome Missy. what a fun post. i have not read this author. i would love to. her books sound like a lot of fun. Lori, thanks for reading the post! If you get a chance to read any of the books, I hope you enjoy! Oh I just love hearing the stories behind author’s books! I have had a few interesting things pop into my mind from hearing or seeing things and I’m not even a writer. :) I don’t have a favorite theme, but do enjoy the “opposites” ones a tad too much. It might be because my hubby and I are opposites! Thanks for sharing those fun tropes! I love stories that have heavy faith and family themes, and of course if the hero is strong and manly with a tender side, all the better. Queen, I agree! I love a tough man who can be tender with the heroine and others. It is always nice to learn the back story. I love how you start with conflict right away in your ideas. I also find that I have been writing a lesson that I end up needing before it’s published. Like my most recent one, Love is Patient, I started out writing about waiting for marriage. However, after losing all of my edits and then being frustrated for two more months about formatting issues, I finally realized the Lord was trying to teach me more patience. 😉 Your Summer Valentine sounds so good! Sounds absolutely amazing! I’m so happy to be here and to have met you.